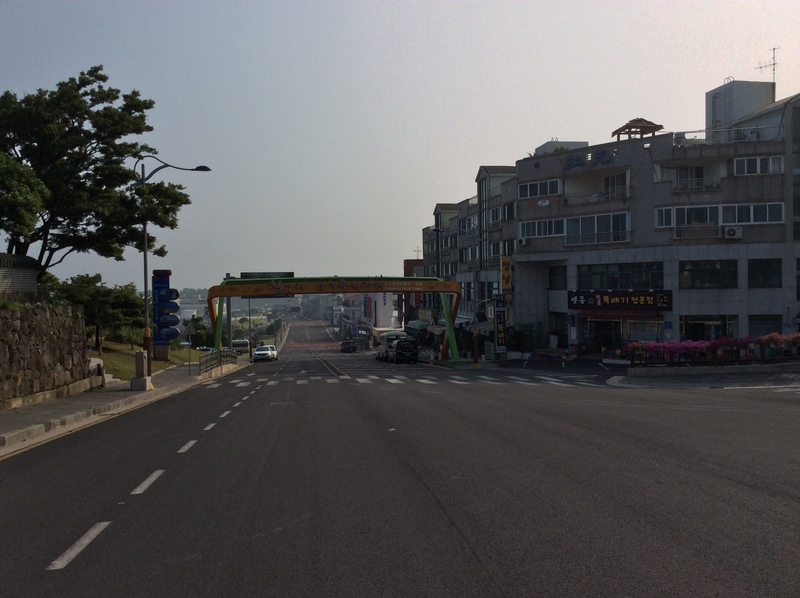 With a population of around 160K, Seogwipo City is a third the size of Jeju City. You can feel the difference just when you get off the bus stop. 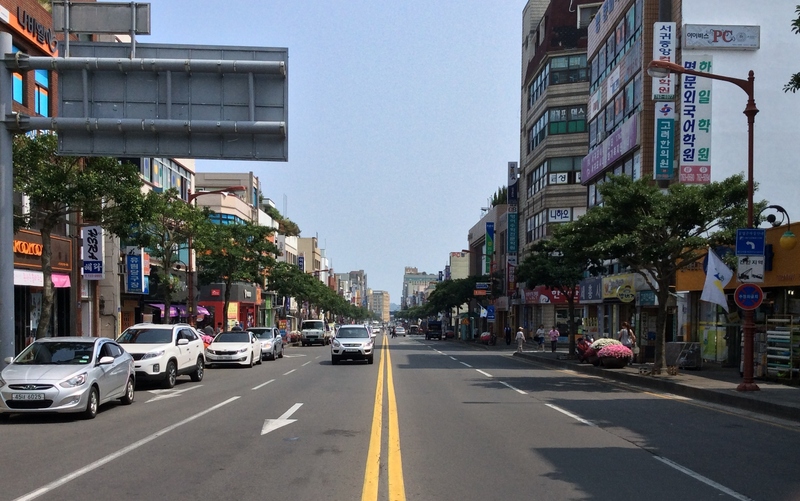 Seogwipo seemed quieter and calm at first sight, which made the city more attractive. 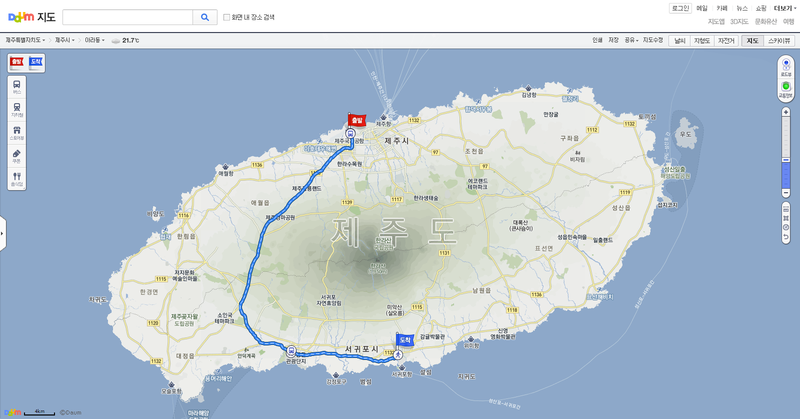 Located at the southernmost point of South Korea, Seogwipo city had even more tropical climate than Jeju City. 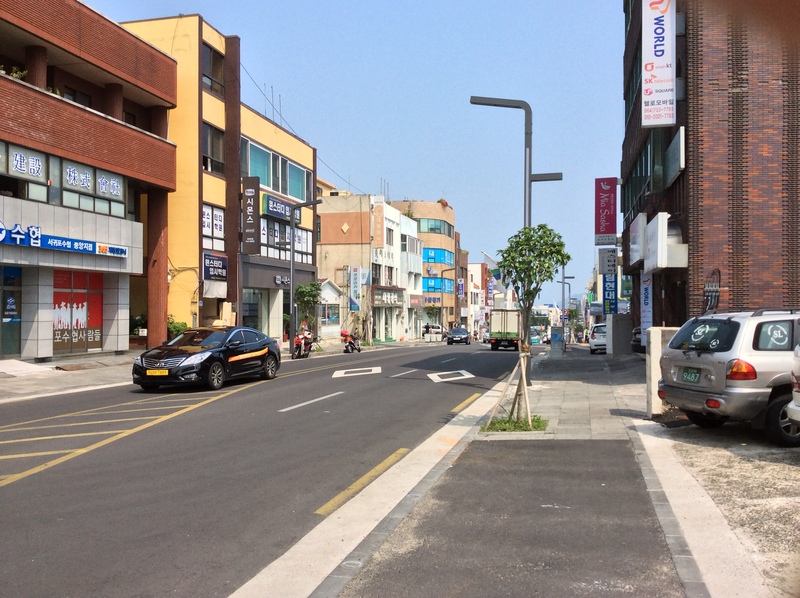 Many mainland tourists headed to Seogwipo City right after they arrived at Jeju Int’l Airport, and they had their own good reasons. 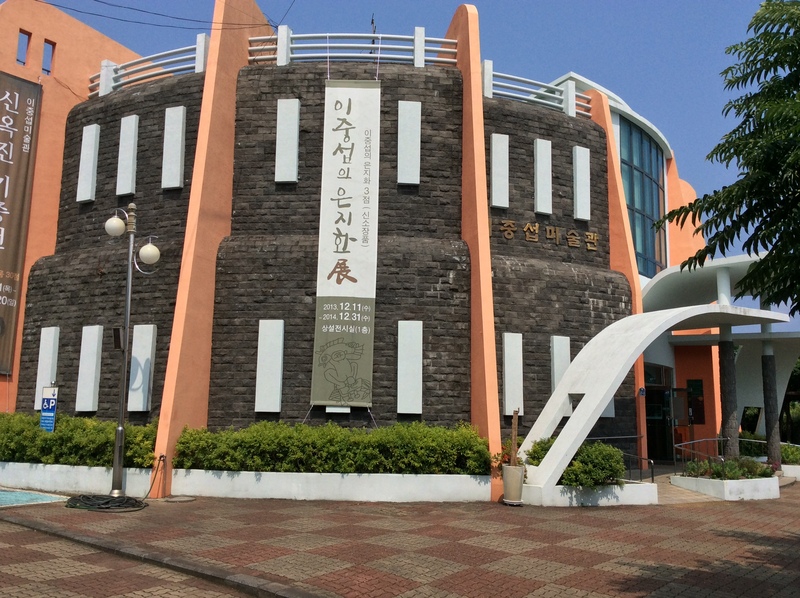 Tourists usually spend a day here at Seogwipo and move to other places, since there are only a handful of attractions to visit in Seogwipo City itself. As most of the tourist destinations are dispersed all over the south coast, people usually rent a car to move from places to places. But it doesn’t mean that we cannot take buses. It only takes a bit more time and that’s all. I took the buses myself and I got used to them pretty soon. 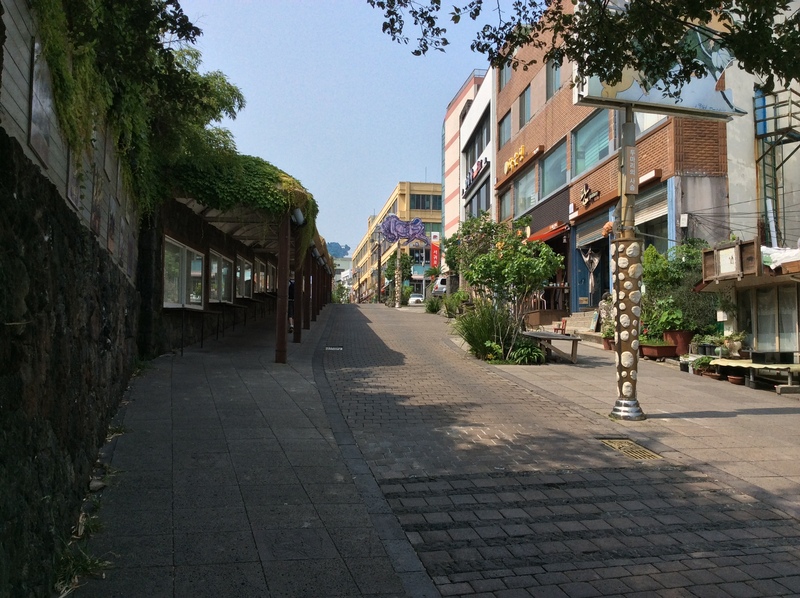 And since downtown Seogwipo City is much smaller than Jeju City, I could walk to anywhere inside the city with ease. 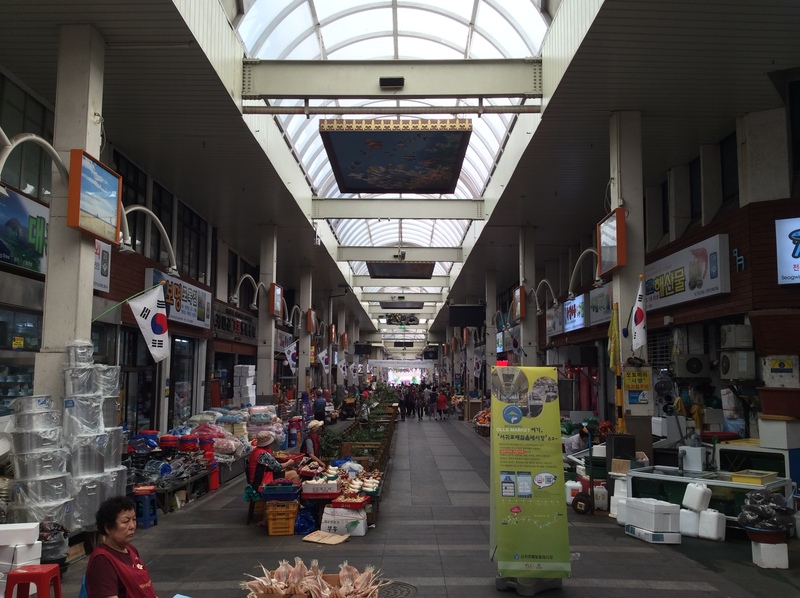 I arrived at Seogwipo Daily Olle Traditional Market in no time. 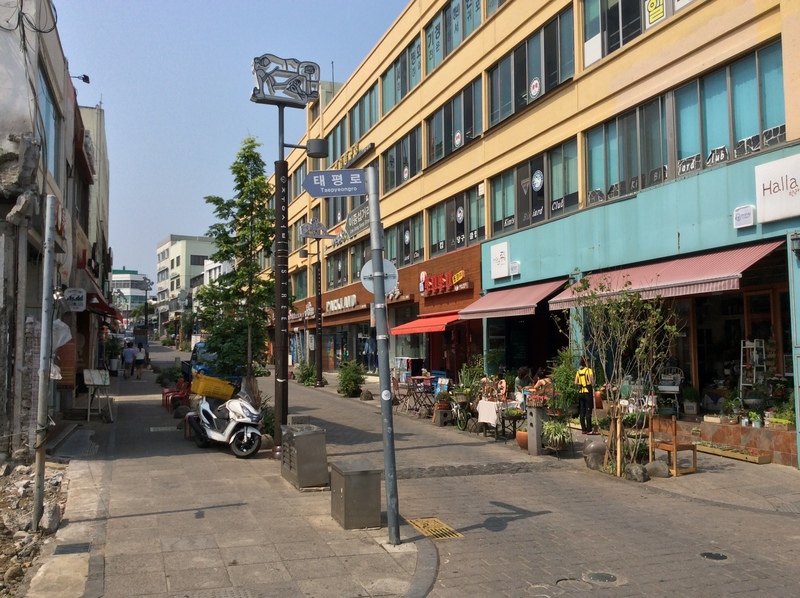 After visiting Olle Market, I could soon arrive at Lee Jung Seob’s street. 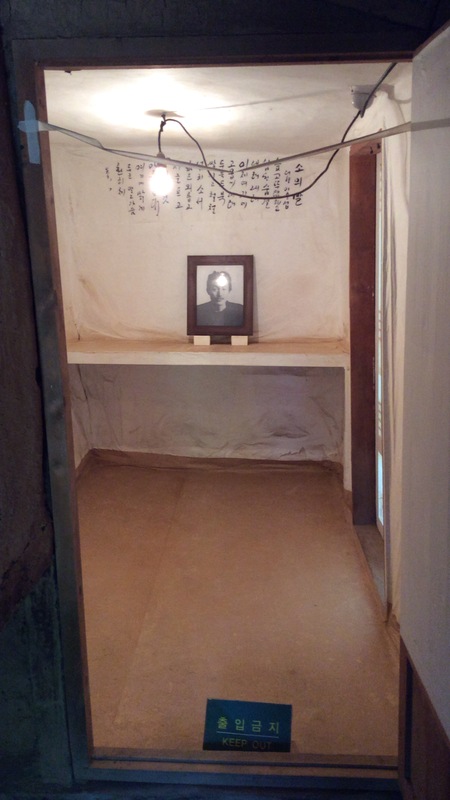 Artist LJS only stayed in Seogwipo for a year or so in 1951, but the picturesque scenery inspired LJS deeply, which made him produce lots of great paintings after his stay in the Island of Jeju. 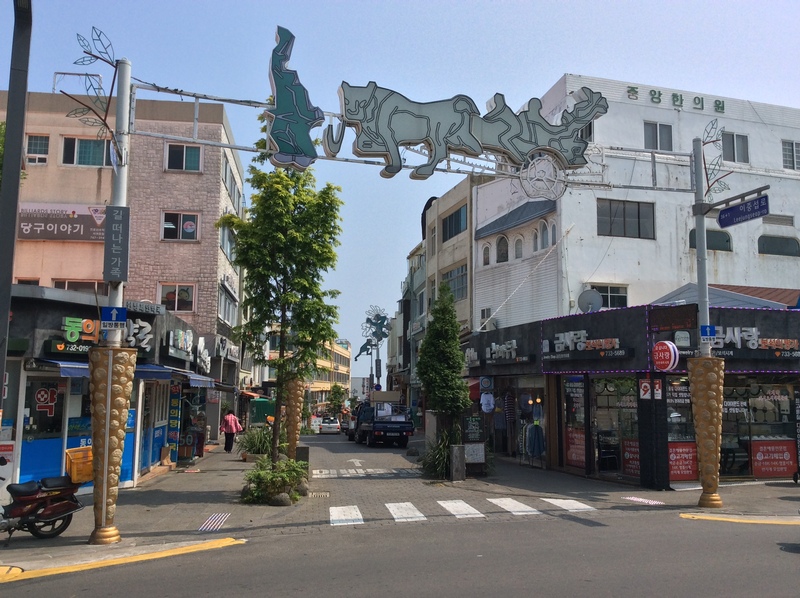 Seogwipo residents are known for their liking of LJS. 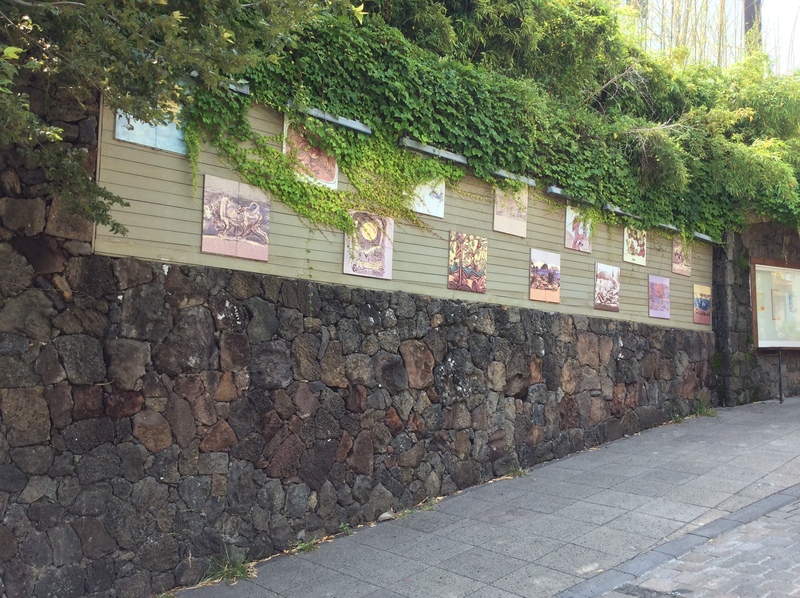 Inside the LJS Gallery, no photos were allowed. I only took the photos from the top of the gallery. 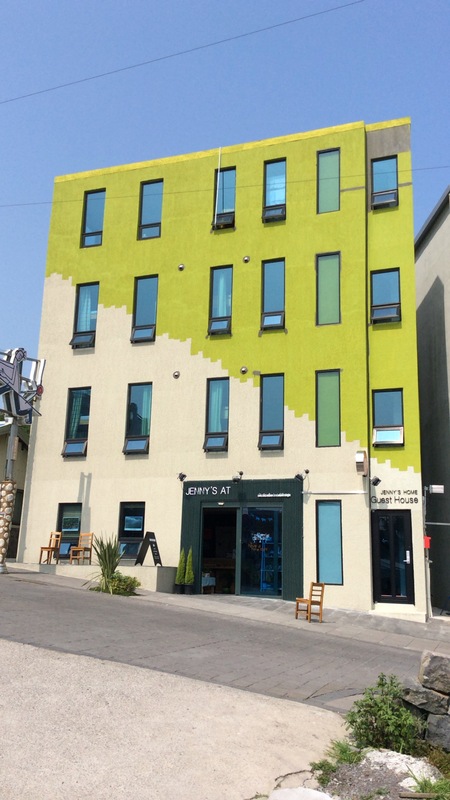 Next to the LJS gallery was a house where LJS once lived. 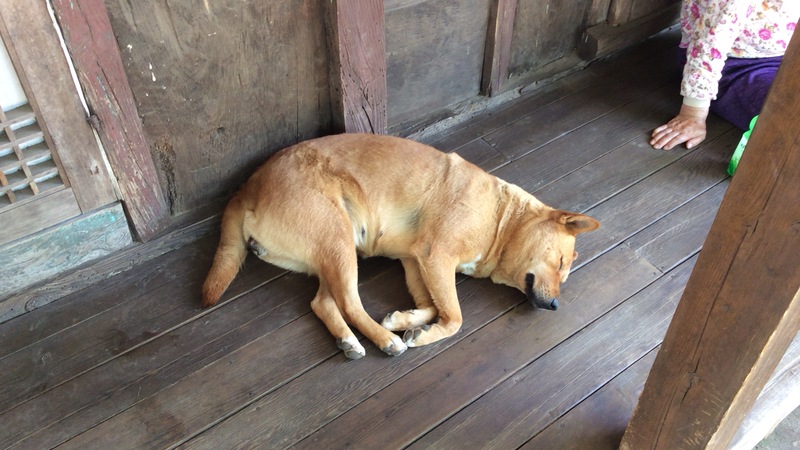 Interestingly, original owner’s descendant was still living there with a dog, whom were both sleeping. I took some photos in a silent mode. 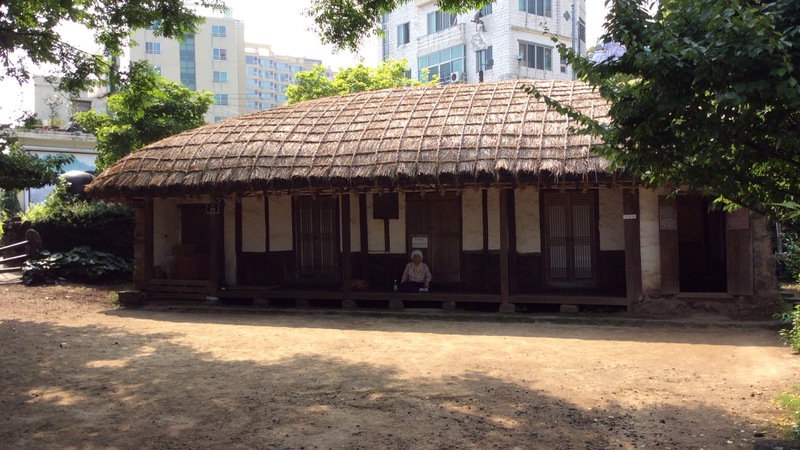 House where LJS stayed. 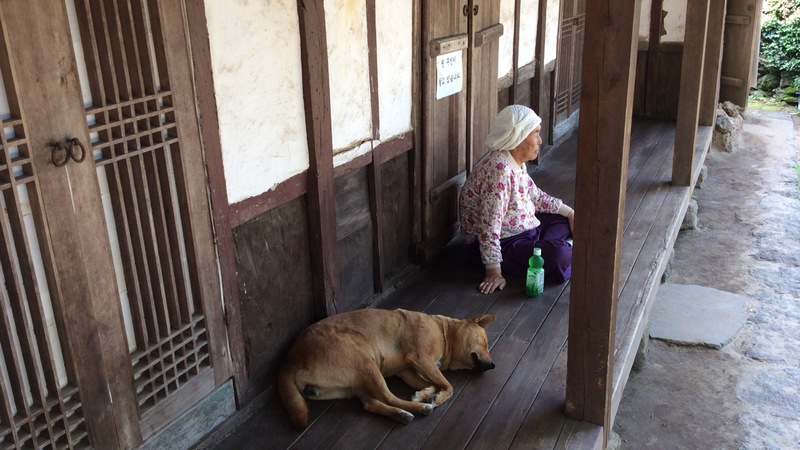 Owner and a dog could be seen. 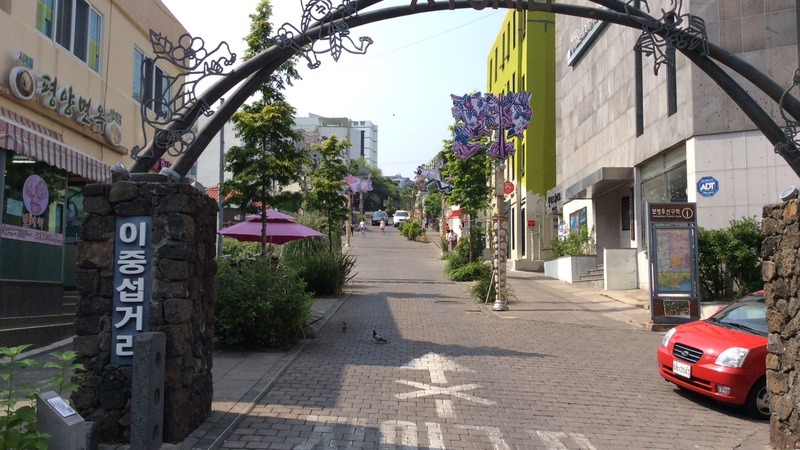 Next, I headed to the food streets which gained fame among locals. I did not put pictures of restaurants here, since they were numerous in number and mostly closed. 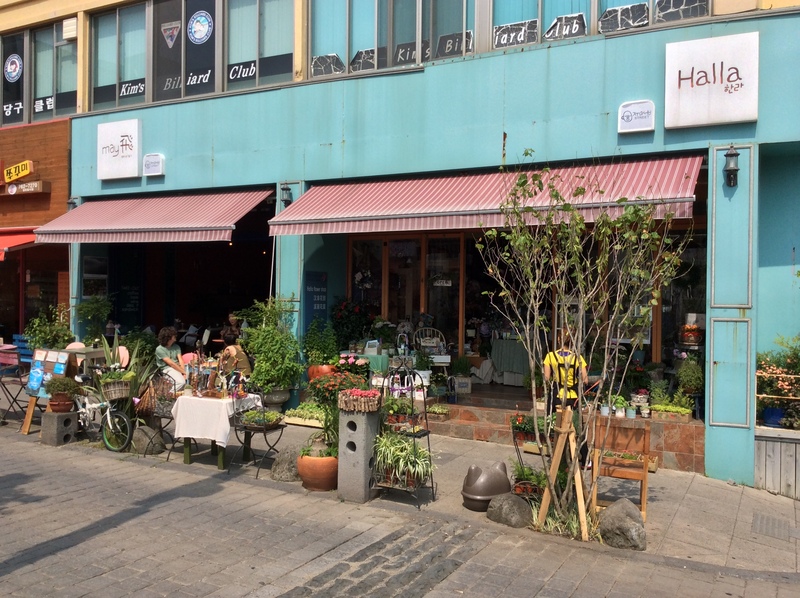 The title ‘food streets’ has recently been given to the area where restaurants for the locals and tourists were originally placed. 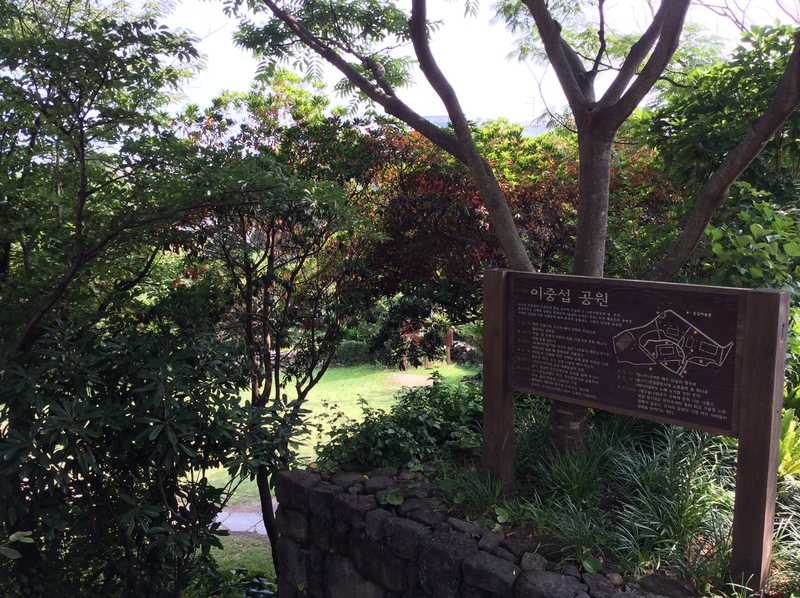 I saw a little need for reviewing the streets, and due to the closing time of the waterfalls, I hurriedly headed to the Jeongbang and Cheonjiyeon waterfalls inside the Seogwipo City. 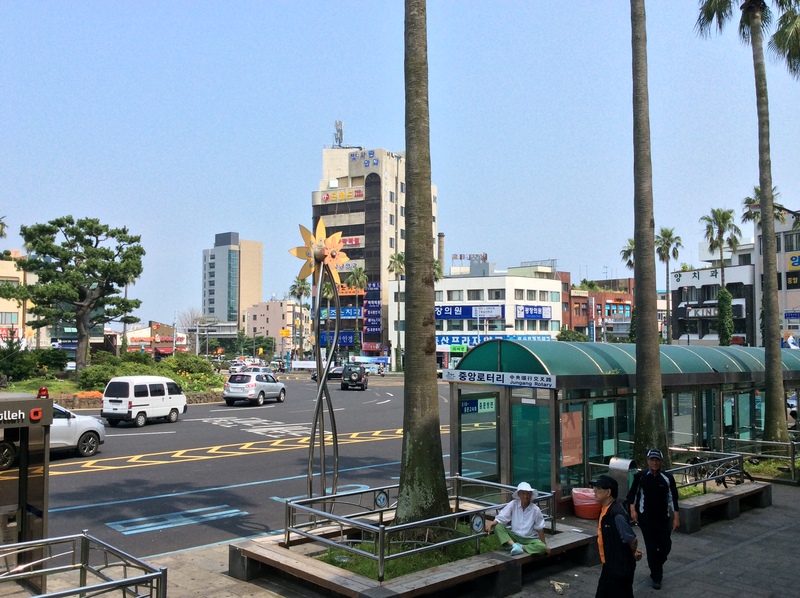 Overall, Seogwipo City was more exotic and subtropical than Jeju City, with less crowds. 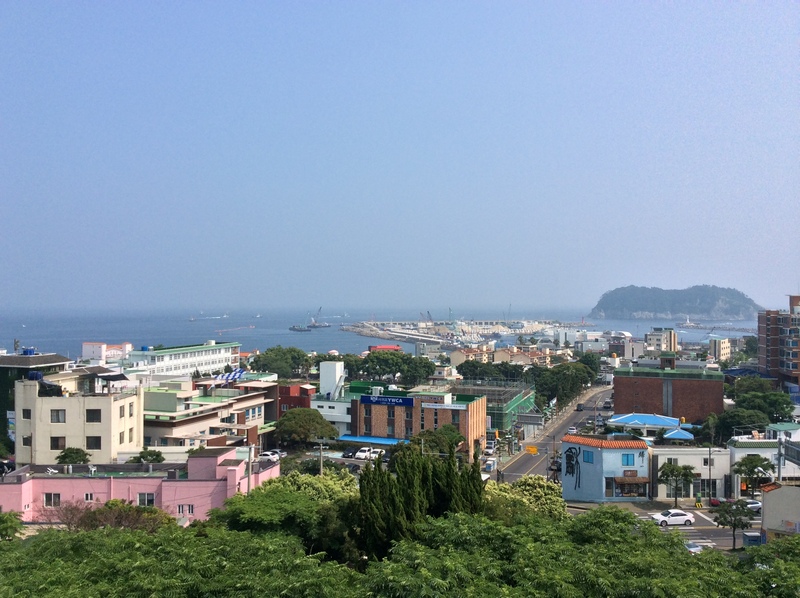 Since Seogwipo was close to many of the attractions where tourists usually visit, this place will be a good starting point for people who wish to see the exotic Seogwipo city and feel more localized.